Becoming a concert level pianist is a tough gig—the performing part, for sure, but it’s that hour after hour, year after year practice regime that really makes things hard. And while it would be nice to be able to tinkle the ivories with the best of them (by all means go for it), you don’t necessarily have to have the musical chops in order to justify having one in your own home. 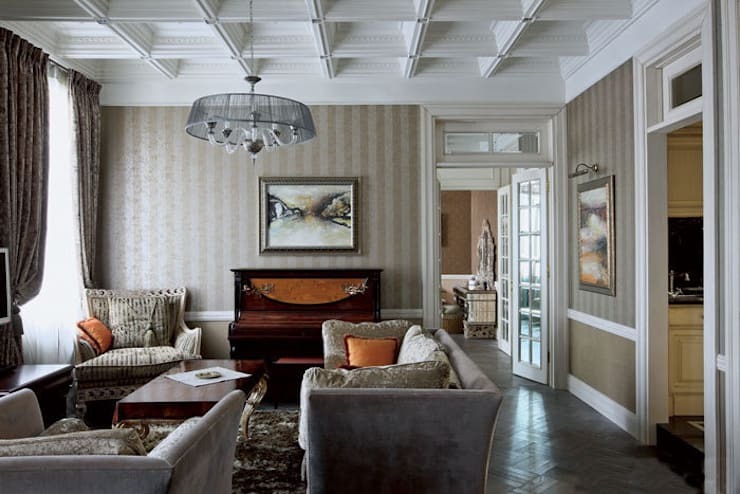 While it might be a little odd to have a tuba or sousaphone in your lounge room having never played either of them, there’s nothing strange at all about incorporating a decadent, deluxe grand or upright piano to your living space for a little element of aesthetic splendour. The piano is, after all, one of the most versatile and beautiful musical instruments there is. Who wouldn’t want a piece of that magnificence in their lounge or living areas? 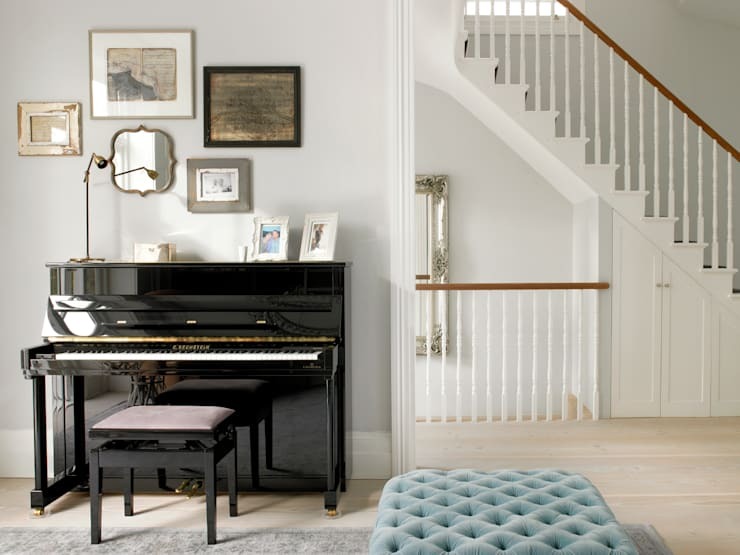 Take a look at these fabulous examples of in-house pianos and find out how you can create a symphony out of your homely interiors too. Nothing beats that classic upright piano with a clean, gleaming black gloss finish. Here we see a neat musical nook in and sparkling furniture statement, as well as an effective use of black to contrast the white tones of the rest of the house and decor. Lovely to listen to, but just as beautiful to look at. 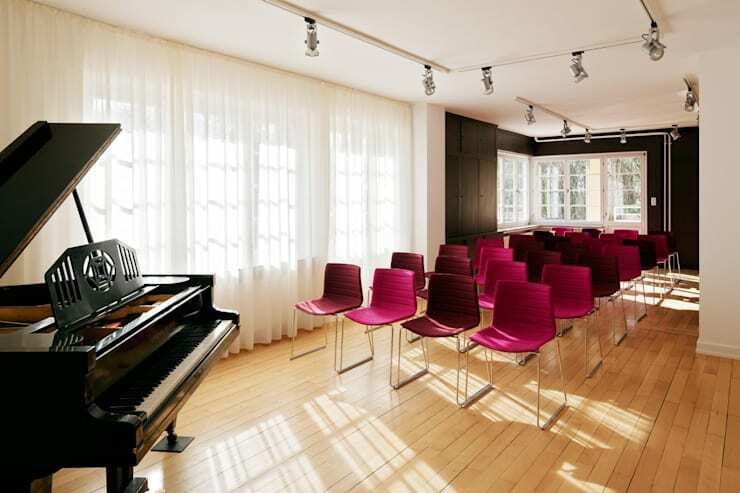 Or perhaps you’d like to put on a home soiree or regular concert series? If you’ve got the space, why not? This extended rumpus sized room with wooden floorboards creates the perfect setting for classical acoustics—simply add a baby grand piano, a comfortable seating arrangement and you’re in-house shows will be the talk of the town. This is one for the more private aesthetician, an immaculate vintage wooden piano to be appreciated in relaxed, cloistered confines. Bring some class and elegance to your study, library or sitting room with this gorgeous addition. Imagine this scene: all your friends or family together for a great occasion, some cocktails under the atrium in the balmy afternoon, a little light piano music to get the spirits soaring and the rapport flowing. Add a grand piano to any entertainment space and you’ve got yourself an instant recipe for truly wonderful get togethers. Ancient Greek philosopher Epicurus would approve of this delightful scene, or perhaps even Liberace! 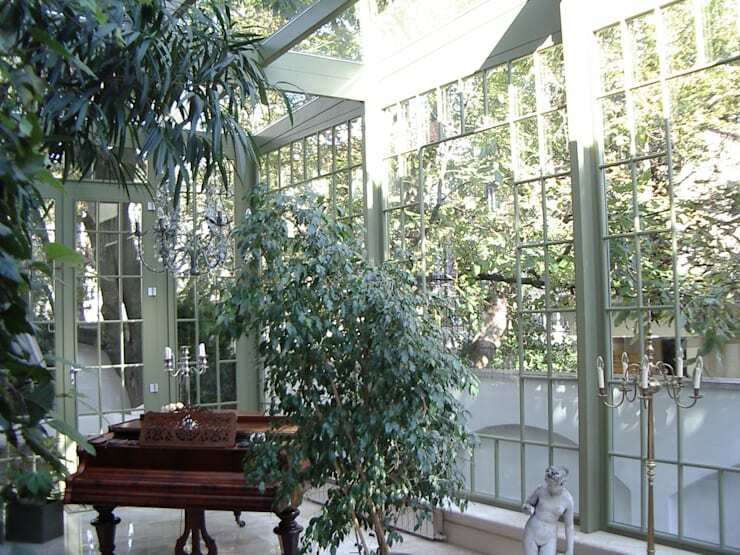 A decadent musical garden and in-house art salon, replete with lush greenery, abundant natural light, romantic floor lamps for the night time and, to tie it all together, a gorgeous wooden piano with candelabra to match. Simply stunning. 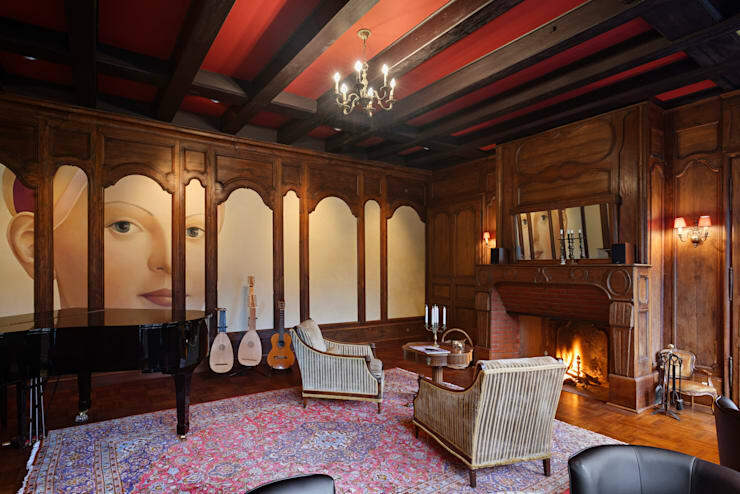 Let the grand piano serve at a catalyst to create your very own music, listening and reading room—imagine this cosy scene: a sultry, chilly evening outside, roasting hot fire and crackling sounds by the oversize brick fireplace; the strumming of lute and guitars, the tinkling of gorgeous, graceful piano. 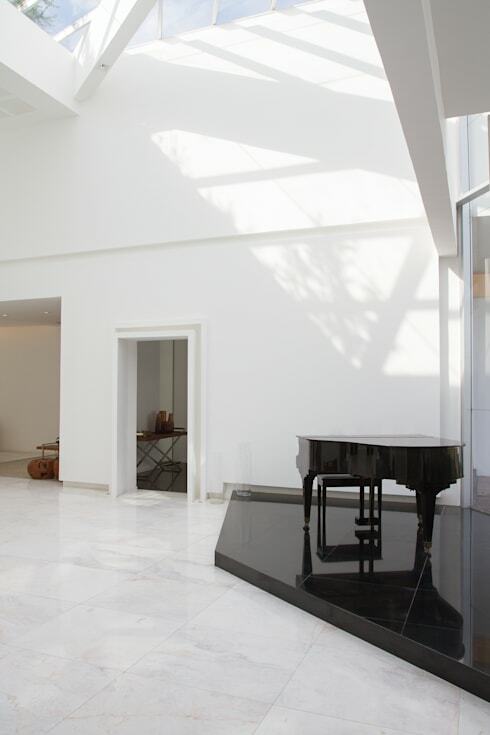 What a statement this black gloss finish grand piano makes! 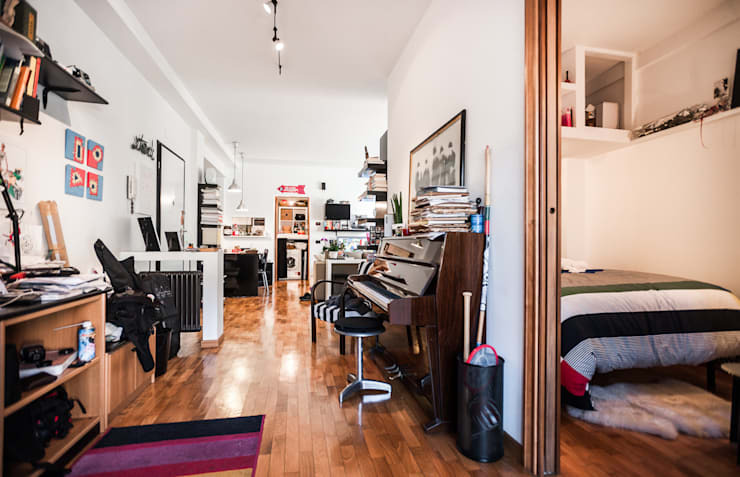 Not all homes have the space or demand for a fully appointed room dedicated to music alone, just as others might make a piano seem a little to incongruous or out of place amongst the rest of the decor. 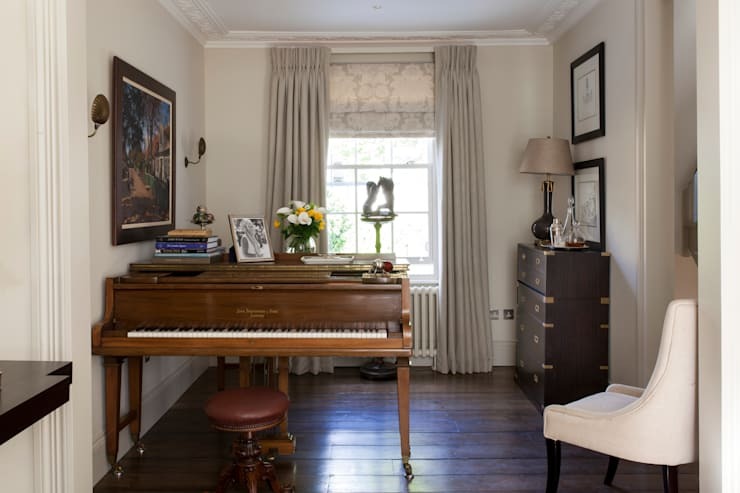 In this example though we see how a piano can make just the right aesthetic statement without throwing the room out of balance —on the contrary, the innocuous wood finish of this fine instrument fuses with the room’s understated elegance with grace and effortlessness. Have these homes inspired to you get musical? Which is your favourite? Let us know!